How Often Should Professors Lecture in the Classroom? When it comes to teaching a classroom of students, making sure that you have their attention is incredibly important. This means that you should vary your lesson plan a little bit instead of having lectures every single class. 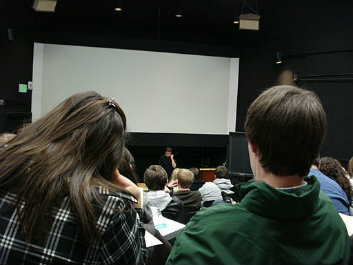 However, lectures are still very important, so how often should teachers lecture in class? Deciding whether you should give your students a lecture is largely dependent on the content you are trying to get across. You don’t want to rely solely on lectures, and you certainly don’t want to repeat what your students are reading and learning on their own – this is simply regurgitating the material and making them more dependent on you instead of their own study habits. There are a lot of things to consider. For example, maybe you know that the students will have trouble with particular content from past experience, which means a lecture can help make the content more clear to them. Maybe the lecture helps set the foundation and context of the content, thereby giving the students a chance to deal with the content from a place that is expediting their understanding. When you do decide to give a lecture, make sure that you connect with your students. Ask questions that are intriguing and get your students thinking. Add anecdotes to make the content more entertaining. Don’t just paraphrase from the textbook. How often should teachers lecture? That depends on the content and your experience. Contact us at Labyrinth Learning for additional teaching tips.